Wedding packages from Studio 25 Productions vary in prices and hours of coverage but never vary in the quality of service or the quality and artistry in the final film. Whether you would like these professionals to simply film the ceremony or would like them to be there with you for the entire day from beginning to end, you can be sure that their work will result in a beautiful film that you will want to watch over and over again. The husband and wife team of Steve and Cheryl Meier created AWC Films. Who better to capture your wedding than a couple who understands the importance of your big day and the love you and your partner share. The pair has an eye for special and unexpected moments and are able to capture them best on film. When they edit together the footage to create your personalized film, you can be sure that they have paid careful attention to the details and to how you would like the film to turn out. Breck Prewitt is the primary wedding videographer at Metropolitan Video. This professional has been filming and capturing moments even before he established this company in 1995. With experience shooting documentaries as well as wedding and formal occasions, Breck tells a story through the films that he shoots. This style lends itself well to capturing weddings in Georgia, as couples will receive not only a video that tells the story of their day but one that is from a real perspective as well. JBV Videography is a company specialized capturing weddings in a beautiful and artistic way that is always true to the couple. 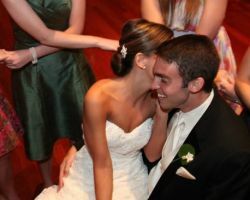 As an Atlanta wedding videographer, this professional has experience in creating films that his clients will cherish. Rather than simply setting up a video camera on a tripod, this expert takes the initiative to get the best shots for your film. Choosing this talented company means that you can trust the person in charge of filming your big day as they only get one chance to capture each moment. 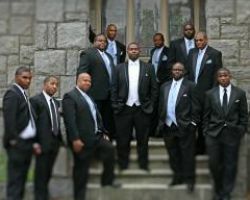 We are a Videography & Photography business servicing Georgia and beyond specializing in unique , creative , story driven Wedding Highlight Films while also filming the standard DocEdit ( Full Ceremony / Toasts / Dances Edit ), Trade Shows , Music Videos , Real Estate , and anything else you ' d need filmed . In addition to our Videography we offer professional Actor Headshots , Portaits & Other . We understand that no two couples are alike therefore no two films are alike . 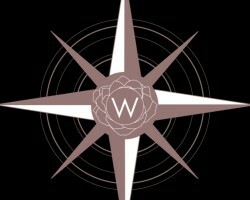 Whether Video or Photo , Wind Rose Films is here for you. The combination of photography and videography that are both of the highest quality can be found at only a few companies in Georgia, like A & P Digital Photography & Video Productions. 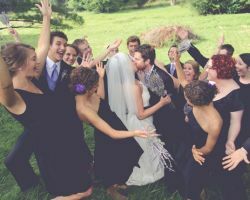 This company is truly the home of artists who capture the most special moments for their clients. With very affordable rates and list of packages and services, you will not only have access to the talented artists when you hire this company but you will also stay within your budget. There are few companies that understand the chaos of a wedding and how to capture it in a style that reflects the couple’s tastes better than Sea & Sky Films. This company is also one of top wedding videographers in Atlanta, GA for capturing Indian, American, and multicultural weddings. With experience and service like this, you cannot go wrong when hiring this company to film your big day. With incredible reviews from former clients and the proof in the films that they have already produced, this company is affordable and talented.